The Samsung Galaxy S6 smartphone is still one of the most sought-after Android smartphones on the market due to it's classic yet refined design. It was the first Samsung smartphone to use Gorilla Glass 4 to protect its sensitive components, and astounded customers with a high pixel density of 577 ppi. It could also be inductively charged which promised new possibilites. Why shouldn't your battery be able to match these capabilities? More power, longer battery life for your Samsung Galaxy S6! We bring the unbridled power of the north into your smartphone and show you what 2700 mAh can do in the Galaxy S6! 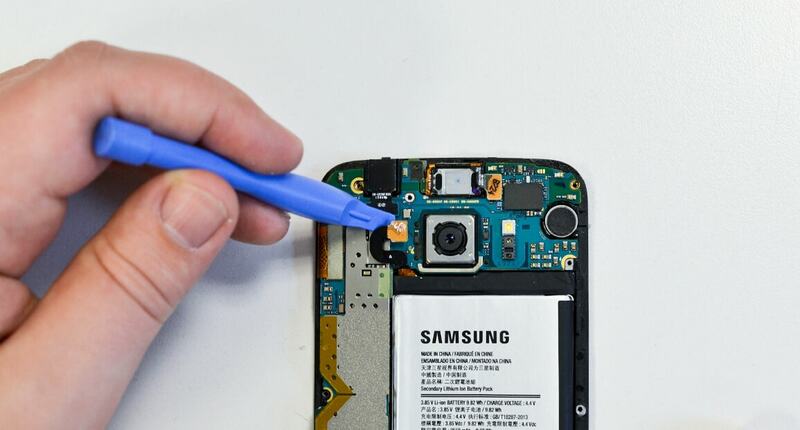 With our helpful tips and detailed instructions, we will show you how replacing the Galaxy S6 battery is easy and bring your smartphone to a new levels of power! Before you begin with the removal of your Samsung Galaxy S6 battery, you should consider a few points in the preparation. First and foremost, find a workstation that is bright enough and has enough space to remove and install your Galaxy S6 battery. Now you should place everything within reach. This includes not only your smartphone and tools but also a hair dryer. You need this to open the case later. Place a small bowl ready for you, where you can store items such as screws during removal and installation. And of course your new Hagnaven Galaxy S6 battery should not be far away either. If you have a few more questions about the preparation, you can of course contact our support at any time. If you are not sure which tools are needed for the conversion, then here you will find a list of all the necessary tools and tools. And as soon as everything is ready it can start! Is everything ready? 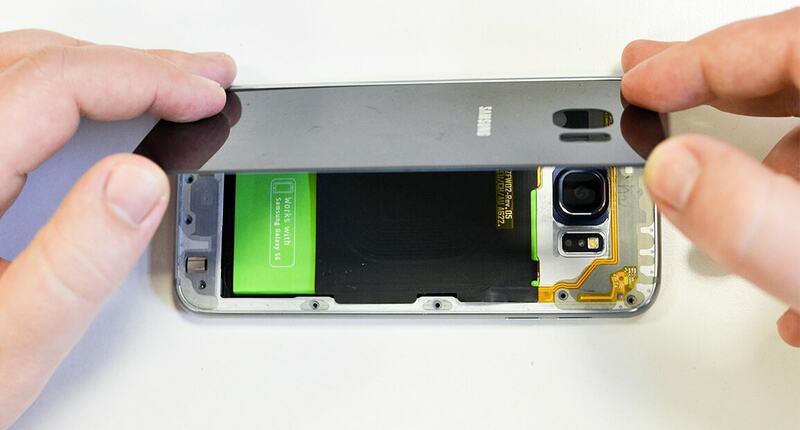 Then the replacement of the battery in your Samsung Galaxy S6 can start! Always be careful, work concentrated, follow the manufacturer's instructions, and follow the suggestions on the side. Make a back up of the important data on your Galaxy S6. 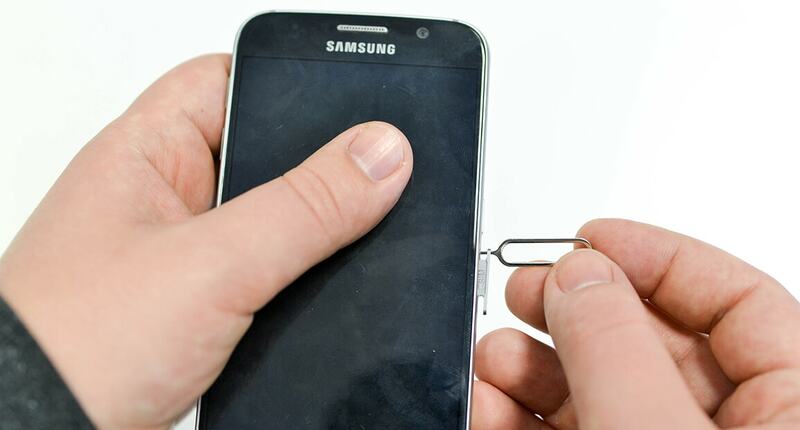 Shut down your S6 and remove the Sim card. Warm the back cover gently with a hair dryer, so that the glue melts and thus easily separates from the housing. 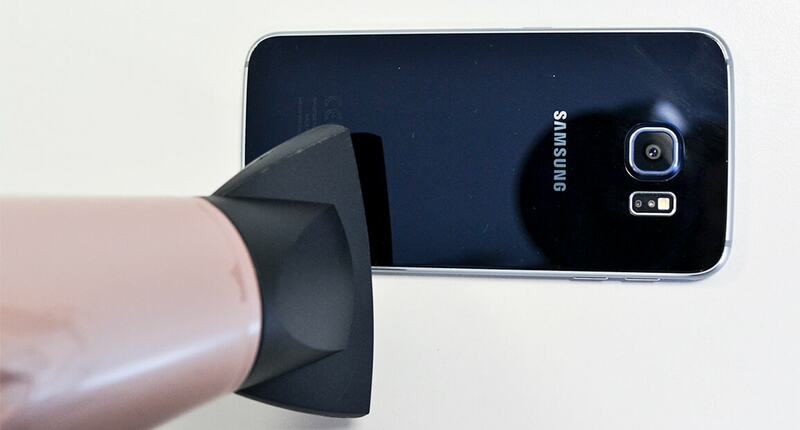 Make sure you do not overheat the smartphone. 80°C is an ideal temperature. Now take the suction cup and fasten it on the back cover. 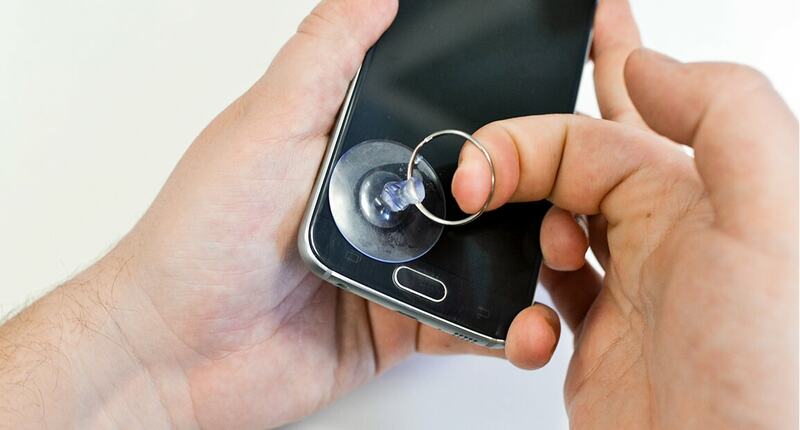 With the plectrum you can then gently pry open the smartphone. At this point, you should work quickly but at the same time very carefully, otherwise the back cover could be damaged. Use the Phillips screwdriver to loosen all 13 screws of the center frame. Keep all the small parts in a bowl so that you can find them after the battery replacement. Now flip the NFC antenna upwards. 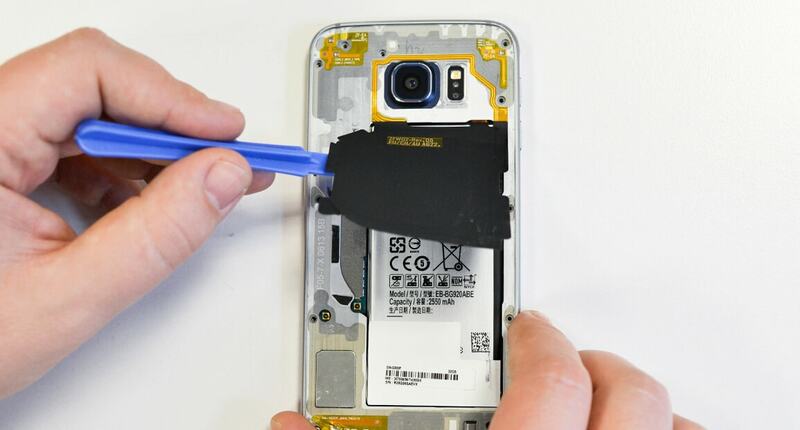 Do not completely remove NFC antenna! Now the display is removed from the middle frame. For this you need the suction cup again. Place this in the lower half of your Galaxy S6 and pull it out of the center frame. If removing the display is proving to be a difficult task, you can press from the other side to push the battery and the display out. Separate the smartphone and the battery with the help of the spatula and remove the battery from the case. The battery is attached with adhesive! Make sure that the old battery is not bent too much during removal. Then insert your new Hagnaven Galaxy S6 battery and connect it through the connector with your smartphone. If the adhesive has been damaged when removing the battery you can simply use a few new adhesive strips to fix the battery. Rebuild the phone in reverse order. 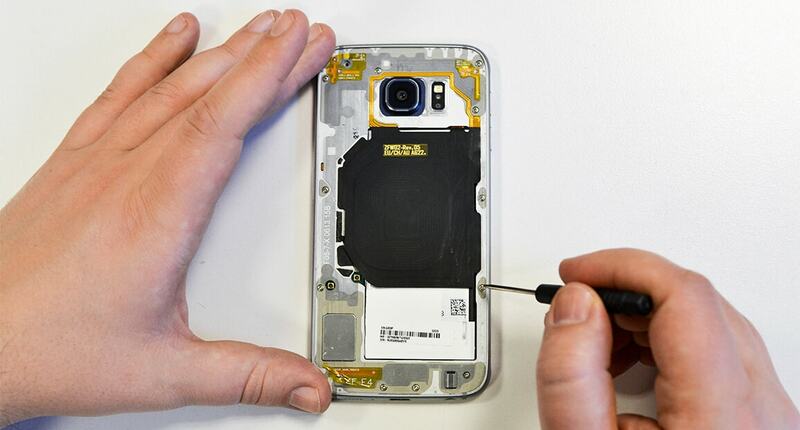 In our video tutorial we show you how fast and easy it is to replace the battery in the Samsung Galaxy S6. Follow the explanations and quickly give your smartphone new strength! For the exchange, you should prepare everything well and plan in about 45 minutes. However, if problems or difficulties occur when replacing the Samsung Galaxy S6 battery, we advise you to contact our support. It is available Monday through Friday from 8:00 am to 4:00 pm.